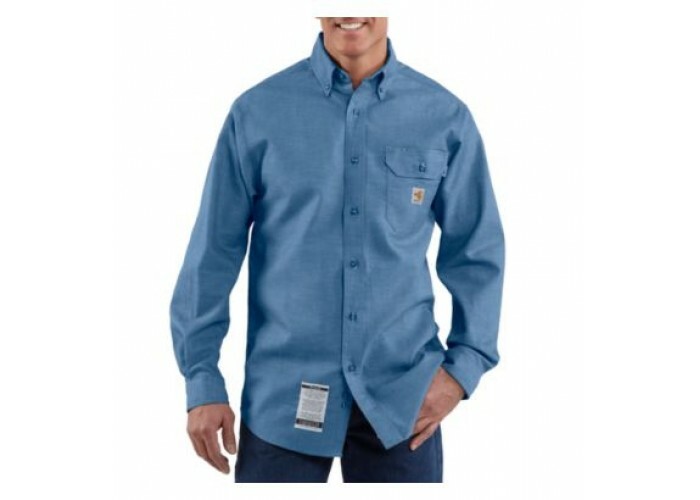 Comfort, style and FR protection come together in our flame-resistant chambray shirt from Carhartt FRS004. 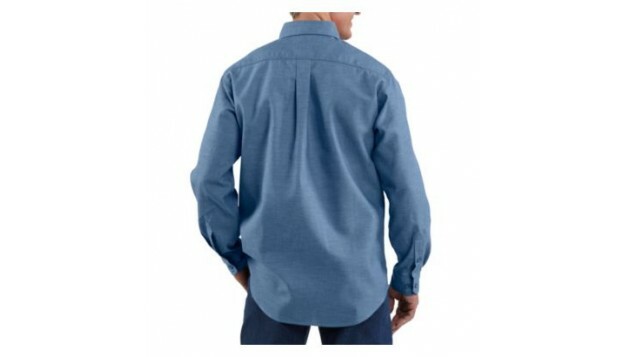 Made of durable, 6-ounce FR chambray in a blend of 88% cotton and 12% high-tenacity nylon, it includes a left-chest pocket with a flap and button closure, and two-button adjustable cuffs. 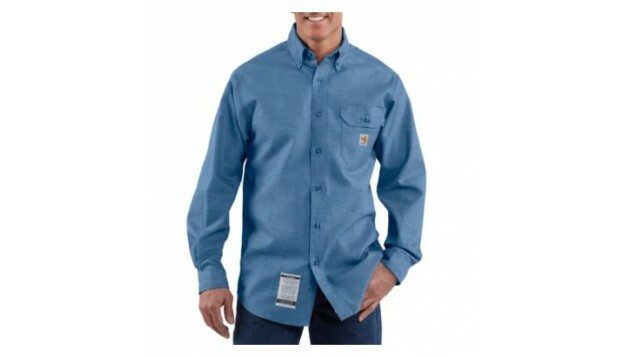 The shirt features FR melamine buttons throughout, and meets NFPA 70E standards. Triple-stitched main seams add strength. 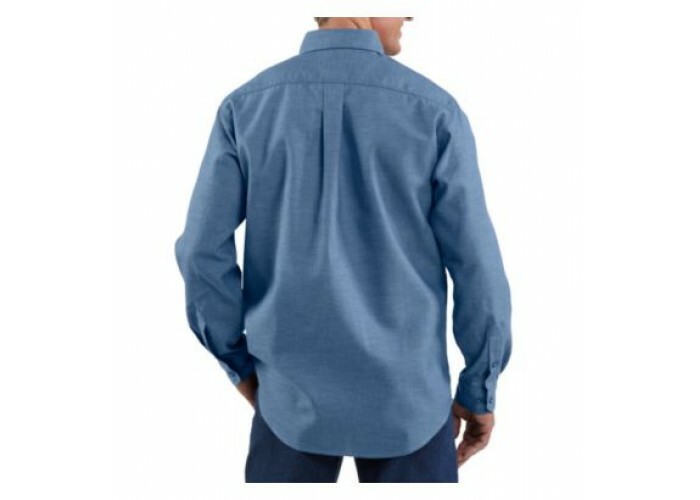 The Amplitude™ flame-resistant fabric is by Milliken.